News that seven US technology companies, including Google, Amazon and eBay, paid only £54m of UK corporation tax in 2012 has elicited hard-felt but predictable responses. Prime Minister David Cameron has repeated his promise to make sure that multinational companies pay more UK tax in respect of their UK activities, while Margaret Hodge, Chair of the parliamentary Public Accounts Committee, has blamed the Government for overseeing a ‘tax bonanza’ for these companies. Domestic sentiment which leads to unilateral action is not, however, the way to tackle the problem. Report issues raised by the digital economy and possible actions to address them, including the ability of a company to have a significant digital presence in the economy of another country without being liable to taxation due to the lack of nexus under current international rules. Changes expected to be made to the OECD Model Tax Convention and recommendations made regarding the design of domestic rules. Make changes to Transfer Pricing Guidelines. Develop recommendations regarding the design of controlled foreign company rules, and also best practices in the design of rules to prevent base erosion through interest expense. Strategy established to expand participation to non-OECD members. Develop changes to the definition of PE to prevent artificial avoidance. Develop rules to prevent BEPS by transferring risks, or allocating excessive capital to, group members, and also by engaging in transactions which would not, or very rarely occur between third parties. Recommendations made regarding data to be collected and methodologies to analyse them. 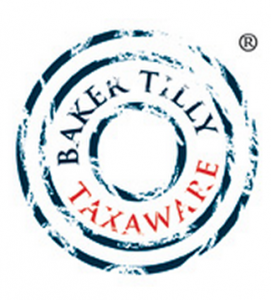 Require taxpayers to disclose aggressive tax planning arrangements. Changes expected to the Transfer Pricing Guidelines. Analyse tax and public international law issues and develop a multilateral instrument to enable jurisdictions to implement measures and amend bilateral tax treaties. Foreigners don’t pay tax? Really? Questions have been asked publicly about whether the expected new economic migrants from the EU will be paying UK tax. It’s generally rather simple, and the answer is ‘yes’ – just like the average British worker with the same level of earnings in fact. Anyone who arrives from Bucharest or Sofia and takes a job with a UK employer, to work in the UK, is taxable in the UK. And will pay National Insurance in the UK. The normal rules apply, so low earners (of any nationality) don’t pay much of either. You have to earn £149 or more per week before you pay NI, and £182 per week before PAYE tax is deducted, but once your earnings are above these limits then your employer deducts tax through the payroll. It doesn’t matter whether you’re British or not. EU citizens are entitled to exactly the same personal tax allowance as any ordinary UK worker, so in the first year new arrivals from any EU country should get a full year’s allowance to off set against their taxable income, just like a Brit who has returned from living abroad, or who doesn’t start work, until the middle of the year. There is a way they might not be liable to UK NI, but it’s unlikely that they won’t be taxable here. If they work for an employer in their home state who sends them on temporary assignment to a project in the UK, EU regulations provide that they may continue paying home country NI while they are in the UK, but the same applies to a British worker who works temporarily in Germany – UK NI can be due instead of German NI, because NI is about paying for future benefits, which will be claimed in the UK. Temporary workers should generally, though, still pay UK tax on their earnings from work in the UK – the UK business to which they are assigned is supposed to tax them as if they were its own employees if it is being charged by the foreign business for their services. The rules on offshore employment agencies have just been tightened, so tax will be due there, too. Romanians and Bulgarians taking a job in the UK will be very disappointed if they think they won’t pay tax here. If they are paid cash, no questions asked, by unscrupulous employers, that’s criminal tax evasion, but sadly there’s enough of that about already. It’s about ethical behaviour, and nothing to do with nationality. With just over three weeks until the deadline for filing online self-assessment tax returns, parents need to urgently look at their finances as for the first time those earning more than £50,000 a year and collect Child Benefit will have to complete a self-assessment return. HMRC estimates that around 1.2 million families will be affected, and it’s likely that a number of these will be caught out as they’re simply unaware of this new rule. In the March 2012 Budget, the Government announced a new tax charge on couples with children where one partner earns more than £50,000, with the benefit being ‘clawed back’ through their self-assessment return if the parent had not elected to stop the payments. Those earning over £60,000 will effectively not receive any benefit, because the tax will be the same as their entitlement. Parents affected by this new rule and who received child benefit between January and 5 April 2013, will have to pay some benefit back in the form of tax. Parents required to file an online self-assessment tax return will need to register with HMRC which will involve being sent an activation code by post. Bearing in mind that there is usually a delay between registration via the Government Gateway and receipt of an access code, a large number of anticipated first time self-assessment filers could mean the system is likely to be swamped and the delay much greater. Therefore, taxpayers need to act now to avoid delays in sending back their return. Sending tax returns back late can be costly. In addition to a potential penalty for failure to notify, failure to file a tax return on time will incur an initial penalty of £100 and further penalties will be due for delays over three months (costing up to £10 a day) and even longer delays could result in a percentage of the amount of tax outstanding being charged. Parents need to check now whether they are affected by these changes as using the excuse that you weren’t aware of these new rules is unlikely to wash with HMRC. This year is going to be an important year for Scotland, with the referendum on whether it should be an independent country in September. Notwithstanding this, with effect from 1 April 2015, Scottish Ministers will have powers to administer new ‘devolved’ taxes to replace the UK Stamp Duty Land Tax (SDLT) and Landfill Taxes. Until then, the UK Government remains responsible for these and can introduce changes prior to the introduction of replacement Scottish taxes. Although transitional rules will be in place, it will be important that, during the period when SDLT is withdrawn and the new Land and Buildings Transaction Tax is introduced, anyone considering buying, selling or leasing property in Scotland, needs to be aware which tax is due, and when. A new tax collection body, ‘Revenue Scotland’ will be established to collect and administer the devolved taxes. It will also have authority over penalties, anti-avoidance rules, resolving disputes and mediation, and appeals relating to the devolved taxes can be submitted to the new Scottish Tribunals service. Under current constitutional arrangement, April 2016 will see the introduction of the Scottish Rate of Income Tax (SRIT). SRIT will remain part of the existing UK income tax model (i.e. it’s not a ‘devolved’ tax) but Scottish Ministers will be able to vary the rate. All Scottish taxpayers will have their rate of UK income tax reduced by 10p in the pound across each income tax band, and the Scottish Parliament will be able to pass a Resolution setting a Scottish rate to replace the 10p reduction. The tax will be administered by HMRC, who will also set up the necessary systems, identifying Scottish taxpayers, collecting sums due, ensuring compliance, following up unpaid tax, and reporting on performance. Revenues from SRIT will be collected by HMRC along with UK income tax receipts, but will be identified and reported separately and will form an element of the Scottish Government’s budget after 2016. If Scotland says ‘Yes’ in September, then detailed policies on tax and spending would be set out in party manifestos for the 2016 election and thereafter, in the first budget in an independent Scotland. The current Scottish Government proposes a transitional period during which the existing functions of HMRC are continued in Scotland and the rest of the UK on a shared-services basis, meaning taxpayers won’t see any immediate change to their current arrangements for paying tax.